Google's Project Fi has slashed prices on most of the devices it sells. First, those who purchase the Pixel 2 XL can receive $250 in credit towards Project Fi service, which can cover at least 8 months of basic connectivity. Fi this week rolled out big price drops for the LG G7 ThinQ and the LG V35 ThinQ. The G7 has dropped from $749 to $449, while the V35 has dropped from $899 to $599, both representing savings of $300 with a new Fi activation. Fi has also discounted the Motorola Moto G6 from $249 to $199, and the Moto X4 from $399 to $249. These savings are available for a limited time and/or while supplies last. Google's Project Fi relies on T-Mobile, Sprint, and WiFi to provide coverage. Twenty dollars per month buys talk and text, and data costs $10 per gigabyte. 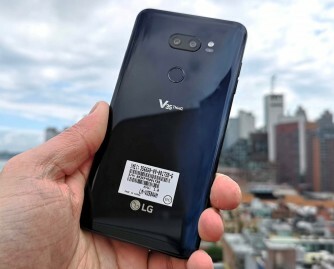 AT&T today said it will sell the new LG V35 ThinQ beginning this week. Preorders kick off Friday, June 1, with the phone scheduled to reach AT&T stores on June 8. 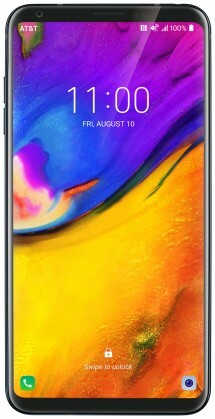 The LG V35 ThinQ is an updated version of the V30 that relies on the same internal components as the LG G7 ThinQ. The V35 has a 6-inch screen, two 16-megapixel cameras with Google Lens, a 3,300mAh battery, and a Snapdragon 845 processor with 6 GB of RAM and 64 GB of storage. Critically, the V35 ThinQ will support Band 14 and AT&T's FirstNet first responders network. The phone will be made available to FirstNet customers in addition to AT&T's own subscribers. The phone costs $30 per month for 30 months, or about $900. Google is expanding the selection of phones available from its Project Fi MVNO. The company today said it will soon offer the LG V35 ThinQ, LG G7 ThinQ, and the Motorola Moto G6. The V35 will cot $899, the G7 will cost $749, and the G6 will cost $199. Aside from their ability to connect to Project Fi, these phones will mirror the features of unlocked and carriers variants. The Mot G6 is already available for preorder from Fi, and the G7 and V35 will arrive at some point next month. Before now, the selection was limited to Google's own Nexus and Pixel devices, as well as the Moto X4. LG today announced the V35 ThinQ, an amalgamation of its existing lineup of smartphones. The V35 ThinQ takes the chassis from the V30 and merges it with the components and software of the G7 ThinQ. The V35 has a 6-inch quad HD+ OLED display with support for HDR 10 and Google’s Daydream platform. An aluminum frame separates the front and rear Gorilla Glass 4 panels. The phone is certified IP68 for protection against water ingress and mil-spec 810G for protection against abuse. On the inside, the phone adopts the Snapdragon 845 processor with 6 GB of RAM and 64 GB of storage. The phone features the same dual-camera array found on the G7: a standard-view lens (71 degrees) at f/1.6 and a wide-angle lens (107 degrees) at f/1.9. The front camera has an 8-megapixel sensor at f/1.9. Like the G7, the V35 features LG’s AI Cam and can recognize 18 different scenes, such as flowers, pets, and the beach. The AI Cam then adjusts to capture the best shot. It automatically uses pixel binning to capture more light in the Bright Mode for low-light scenes. The camera can snag bokeh-style portraits using either the front or rear camera. It also includes the new Google Lens tool built directly into the camera app. The V35 packs a 32-bit quad DAC for superior wired sound, as well as DTS-X for cinematic surround, a wind filter, and super far-field voice recognition for discerning spoken commands from greater distances. Other specs include a 3,300mAh battery, wireless charging, NFC, Bluetooth 5, dual-band wifi, GPS, USB-C, and a 3.5mm headphone jack. The phone supports newer U.S. LTE bands, such as Band 29 for AT&T and Band 66 for T-Mobile. It ships with Android 8 Oreo and LG UX 7. The LG V35 goes on sale in early June for about $900. LG's new phone is a Frankenstein-like effort. LG sliced and diced parts from various phones and stitched them together to breath life into one monstrous device. 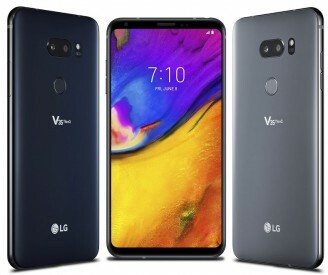 The V35 ThinQ is part V30, part G7, and all LG. It boasts a 6-inch screen, mil-spec toughness, the latest silicon, and a trio of cameras. Here are Phone Scoop's first thoughts about LG's latest laboratory creation.